I have some sweet nail art for you today, with Sugar House Lane from the Nails Inc Sprinkles collection. I went to stalk my local Sephora the week after this collection came out, and was surprised they still didn't have it out on display. After a couple more times of disappointment, I finally asked one of the girls working there, and turns out the display was up near the checkout counter all along. Oops. Anywho, I pick up two of my favourites, and Sugar House Lane was one of them. I was sold on the milky base and black glitter - reminded me so much of cookies and cream. Sugar House Lane is a light taupe base with matte black and silver glitter. Because of the milky base, the silver glitter looks white. The glitter lays flat and smooth on the nail. I only needed one coat for great colour and glitter coverage. Left to right: Nails Inc "Sugar House Lane", Nubar "Swiss Chocolate", Sally Hansen "Black Out", Sally Hansen "White On"
1) Paint a circle with a bobby pin (or dotting tool if you have one). 2) Use nail art brush to paint a small half-circle on the edge of the first circle you drew. 3) Repeat step 2) all the way around your large circle. 4) Add white dots with a toothpick. Use the points between your half-circles to get the dots evenly spaced. 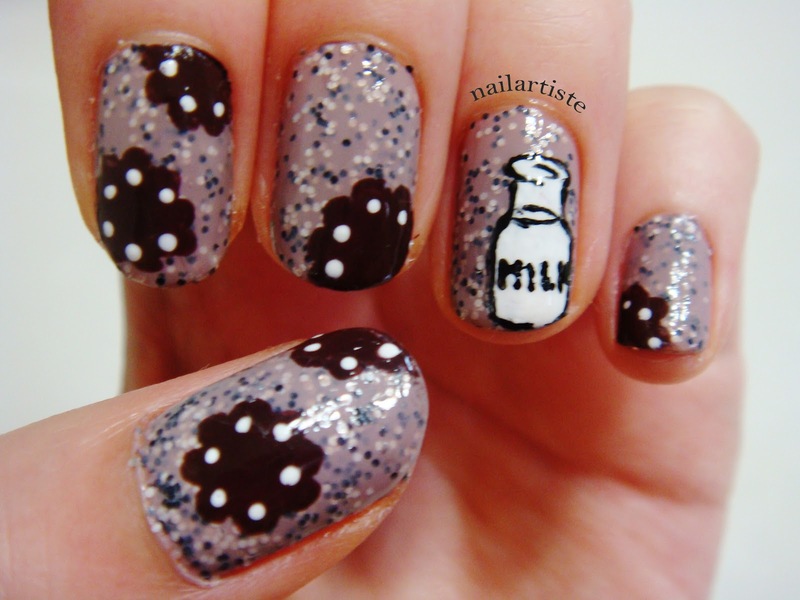 1) Use a nail art brush to paint a flat oval for the lip of the milk bottle. 2) Paint the bottle body with your brush. 3) Paint the form of the bottle lip with thin round strokes, and the milk line with an oval. 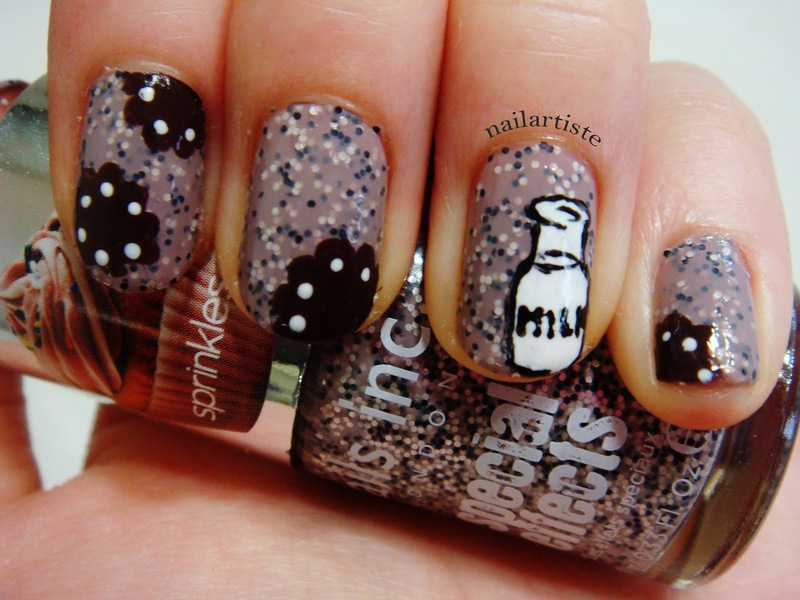 4) Outline the rest of the bottle and add the word MILK with either a nail art pen or brush. 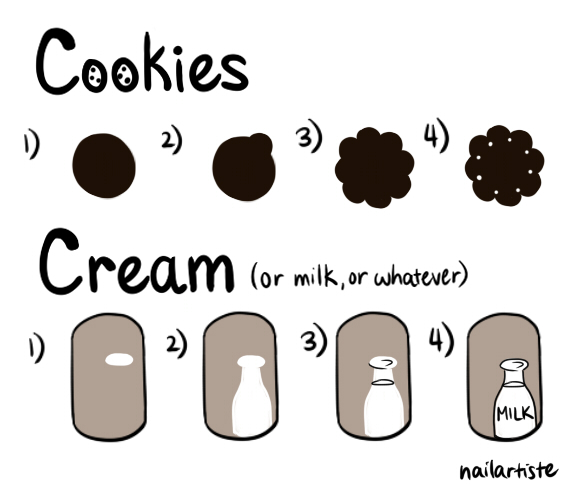 Doesn't this make you want to eat an Oreo? Does this polish look as appetizing to you as it does to me? I had to cut my nails recently, and since I like keeping my nails at the same length, they all got cut down to nubs. I never know what to paint my nubs - there's so little room for nail art. 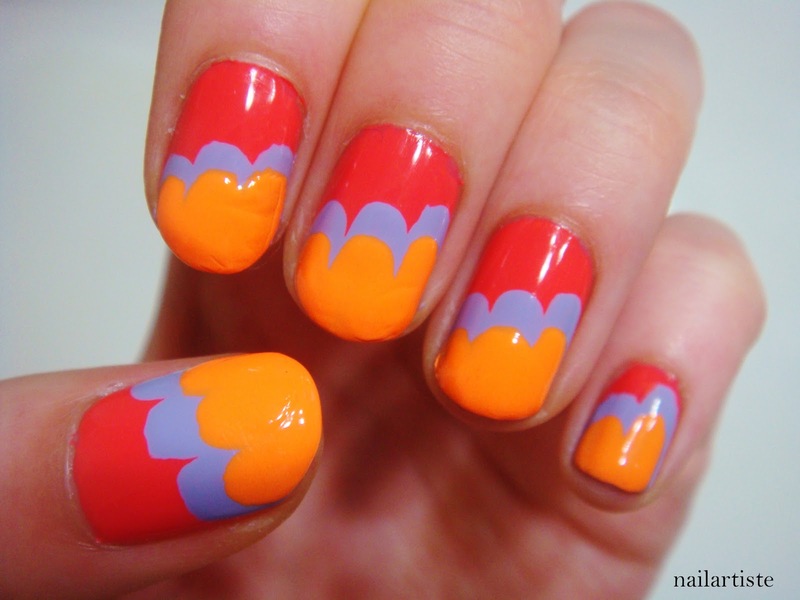 Then I came upon Nailside's freehand cloud design, and it while it looks so lovely on longer nails, I thought it would also look super cute on short nails. So I had a go at it, and I adore the result! 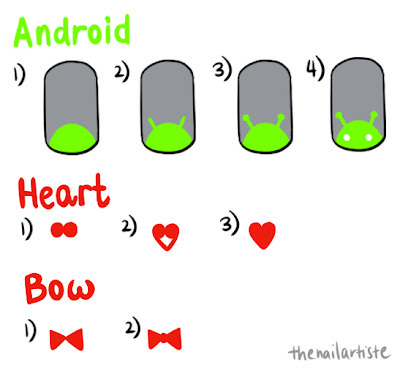 I just might have to do this every time I have nubs for nails. Left to right: Loreal "Mango-Get-Em", Nature Republic colour PP402, Kleancolor "Mango"
Looking forward to wearing this happy design for the weekend! Have a good one! Today I have for you American Apparel's line of sheer nail polish. I've always been a huge fan of their polishes. 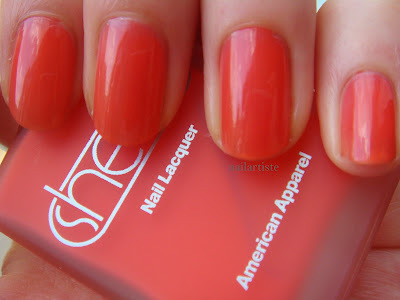 They have great colours with amazing pigmentation, perfect for nail art! So when I heard they were coming out with a line of sheer polishes, I was intrigued, and when I saw the promo pictures, I was absolutely smitten. They were so beautiful, I had to get them all. The formula was thin and flowed easily onto the nail, and this was consistent across the line. While sheer, the pigmentation is spot on, and you can get great coverage in three coats (though you can still see your nail line). Drying time was very quick, and they all dry to a beautiful, glossy finish. 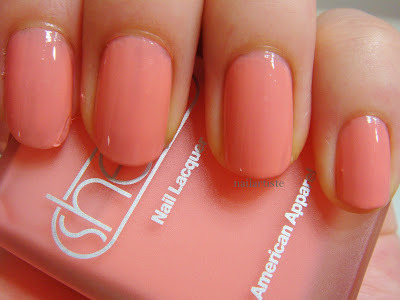 Summerland Beach is a peachy rose pink. Manhattan Beach is a very pretty coral. Redondo Beach is a bright, sky blue. It was a tiny bit streaky on the first coat, but evens out. This one might be my favourite in terms of layering possibilities, if not just for colour. 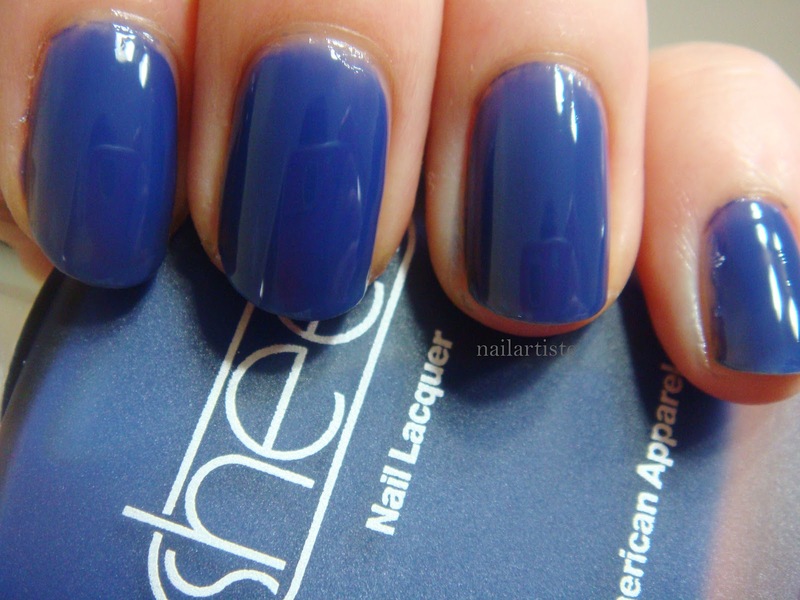 Moonlight Beach is a navy blue with a strong hint of purple. Pacific Beach is a bright turquoise. There is definitely more green than blue in most lighting. Ok, this may be my favourite in terms of colour. 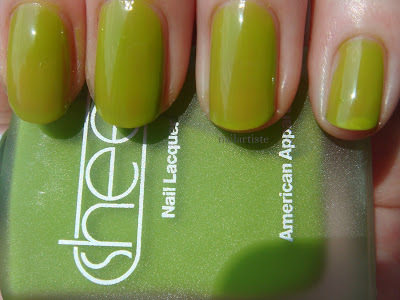 Zuma Beach is a chartreuse green that looks bright, but kind of muted at the same time. Overall, I absolutely adored this sheer line! The colours are vibrant and go so beautifully together. 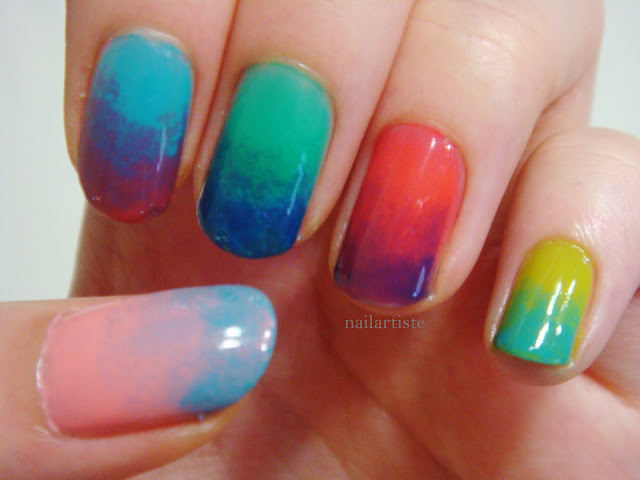 I can't to try other gradient combinations, and layering experiments. 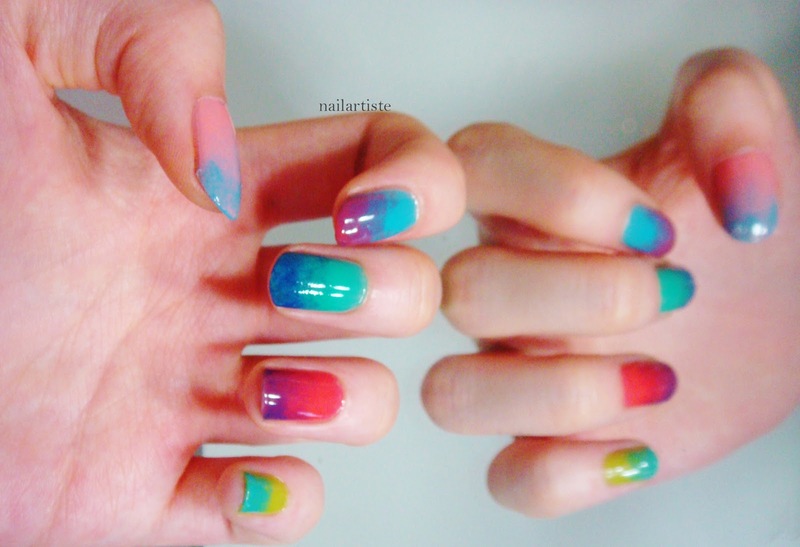 Jelly sandwiches, layering colours over each other, layering over creme polishes...oh the possibilities! What are your favourites and will you be picking any up to try out the gradient look? 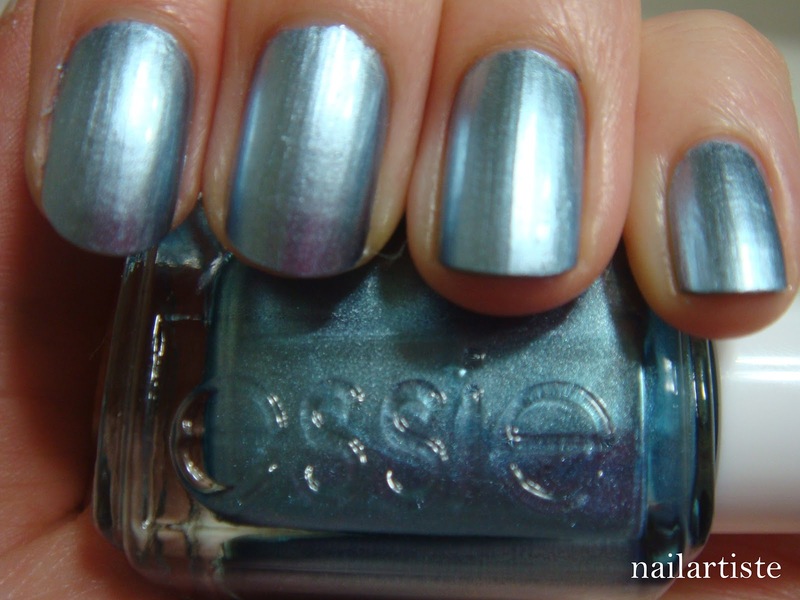 I used to think metallic finishes were totally not my thing (hence the lack of them in my collection), but when I saw the promo pics for the Essie: Mirror Metallics Collection, I thought, well, maybe they can be my thing after all. Went out to my local Trade Secrets and picked up two of my favourites from the collection. Blue Rhapsody and Penny Talk. The thing with metallics is, they show every bump and ridge on your nail. 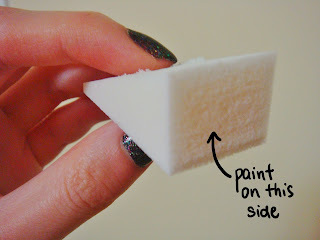 Either use a ridge filling base coat, or just skip it altogether if you already have smooth nails. The formula can be a little tricky to work. 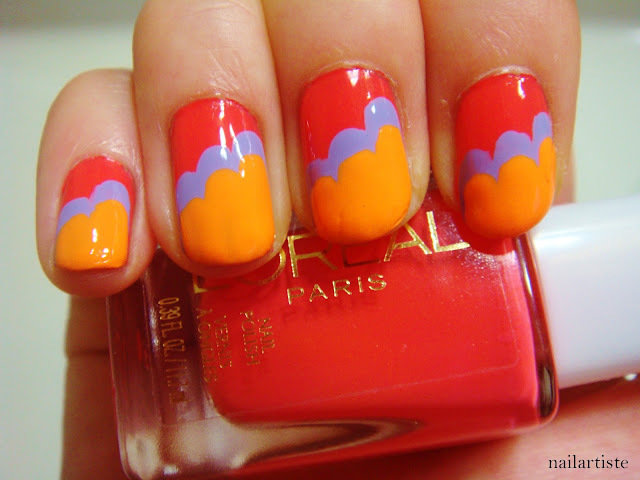 It's smooth, but also drags quite easily, so keep brushstrokes to a minimum. The colours themselves are amazingly reflective, and it is just like having brushed metal on your nails. 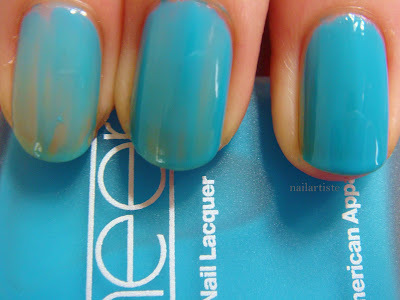 Full opacity in just one coat, and I recommend to keep it at one, since the more coats, the easier for bumps to show. Blue Rhapsody is a silvery, light metallic blue. 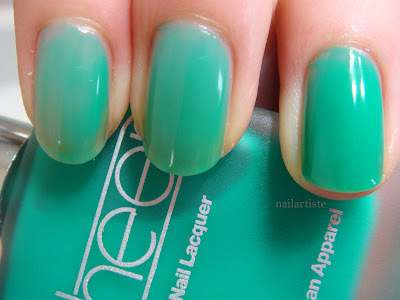 Very cool colour. 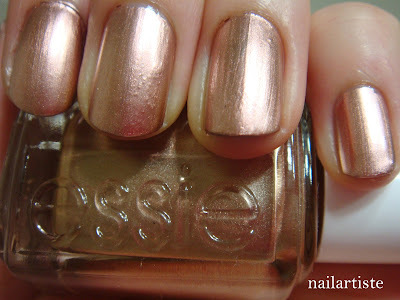 Penny Talk a coppery rose gold. It has the perfect mix of both pink and gold that I think would be universally flattering on any skin tone. I love it with some black Chevron tips to break up some of the shininess. 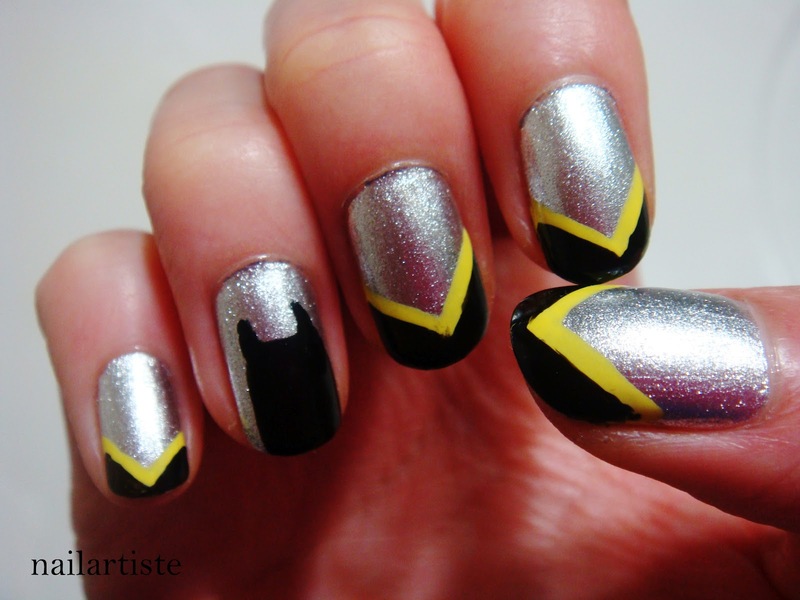 The Dark Knight Rises was one of the summer blockbusters that I was most looking forward to (right up there with The Avengers), so of course I had to do a little nail art to celebrate its release! Left to right: Sally Hansen "Celeb City", Sally Hansen "Mellow Yellow", Sally Hansen "White On", Sally Hansen "Black Out", Nubar "Swiss Chocolate", Folk Art acrylic paint in #949 "Skintone"
Batman and Catwoman: both painted using a nail art brush, with a bobby pin to dot on the eyes. I used acrylic paint for the skin mainly because it's easier than having to mix my own skintone every time. Yay for the easy way. 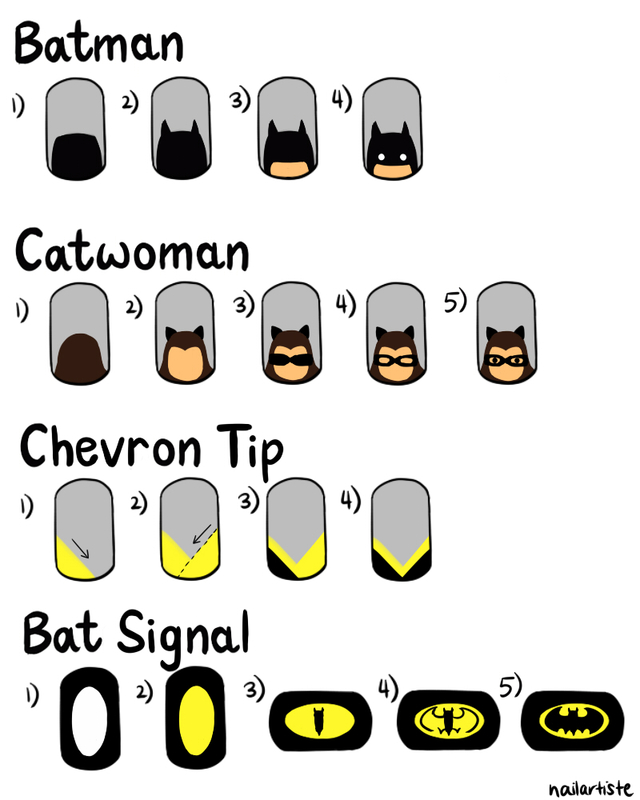 Chevron Tip: I used two thick-ish coats for the yellow to show. 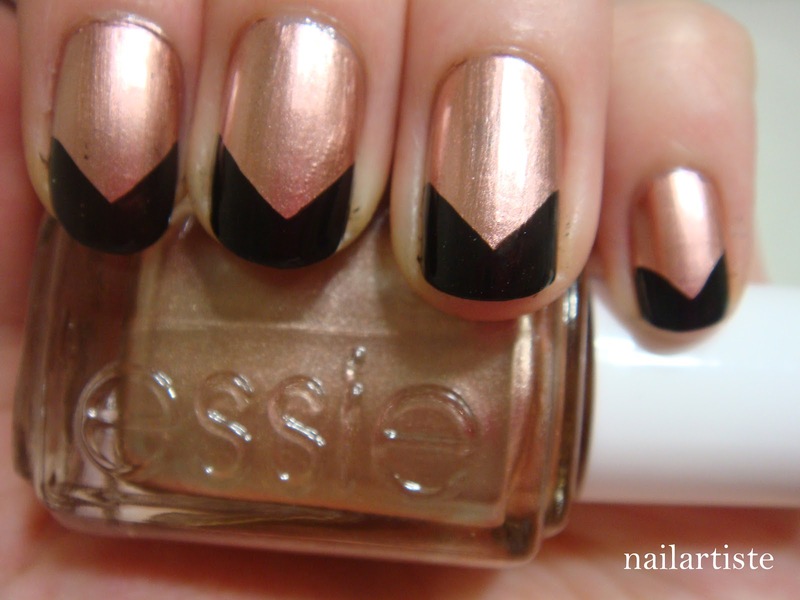 When making the Chevron pattern, it's easiest to make long, diagonal strokes from side to tip. Bat Signal: Use a white base to help the yellow show up easier against the black base. The best way to paint the bat is to break it down into chunks. If you make any mistakes, you can go back and use yellow polish to fix or refine it. I can't wait to watch the movie!! Anybody else excited for it? Seen it already? 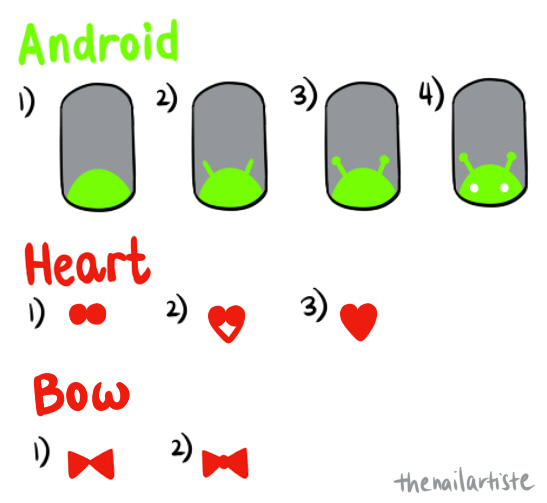 No matter what kind of phone you use, you gotta admit, those little Google androids are so cute! 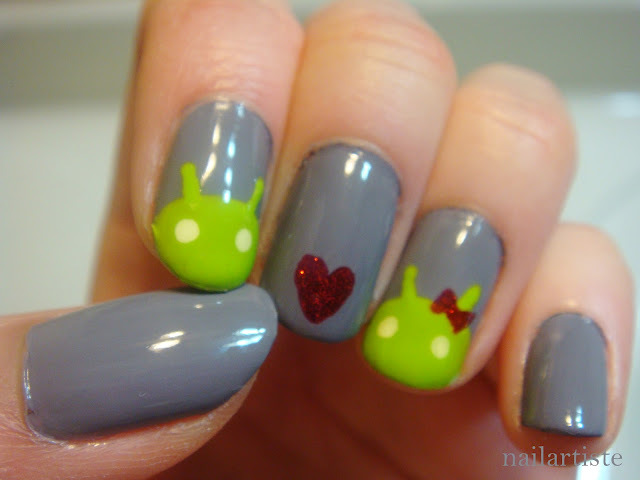 Show some android love with this design. Left to right: American Apparel "Factory Gray", American Apparel "Crescent Heights", China Glaze "Ruby Pumps"
I did a small variation using the same elements on my right hand. Have fun with it! 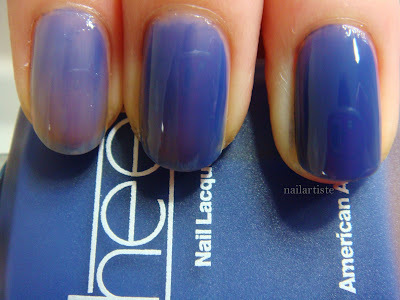 Gradients have quickly become my favourite nail trend (as you will see in my future posts). For such a cool looking effect, they are so easy to do! It also gives me the chance to use multiple colours, so I feel way justified for having so many polishes. There are mainly two ways I use to create a gradient: brushing and layering on sheer polish, or stamping with a makeup sponge. Using a makeup sponge is my favourite way as it gives a smooth transition between colours. My colour choices for gradients don't always work out, but this one came out wonderfully. I wore this on vacation to San Diego and received many compliments for it! Left to right: American Apparel "Malibu Green", OPI "No Room for the Blues", Sally Hansen "Blue Away", OPI "Last Friday Night"
1) Paint stripes of your colours on the makeup sponge in the order you want them to show up on your nail. Nail Art: Totoro with American Apparel "Factory Gray"
I'm very excited to start this blog dedicated to my two great loves: art and nail polish. While I'm simply a hobbyist in the art world, I've always loved drawing and making little crafts as a form of creation and self-expression. My love affair with nail polish began about four years ago, and my collection went from a couple pale pinks, to every colour (in multiple shades) of the rainbow. 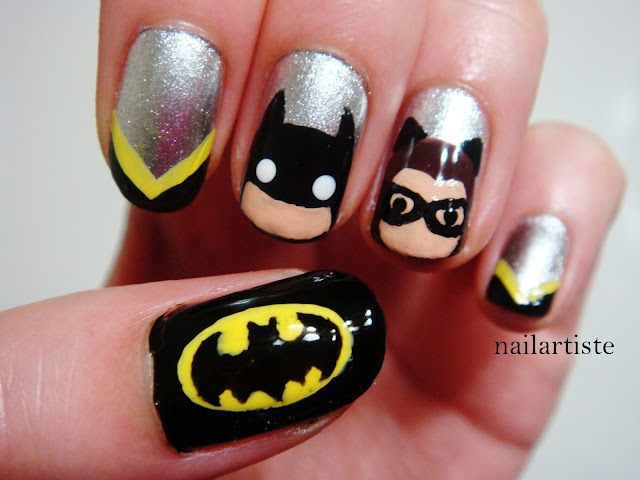 Nail art was a natural progression and became the perfect way to bring the two together! I'll be posting written and photo tutorials on my designs. I hope they'll be simple and easy to follow, but if you have any questions, please don't hesitate to ask! 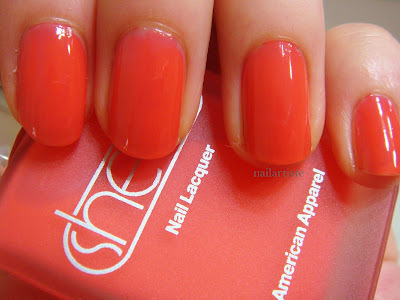 I will also be doing nail polish reviews. 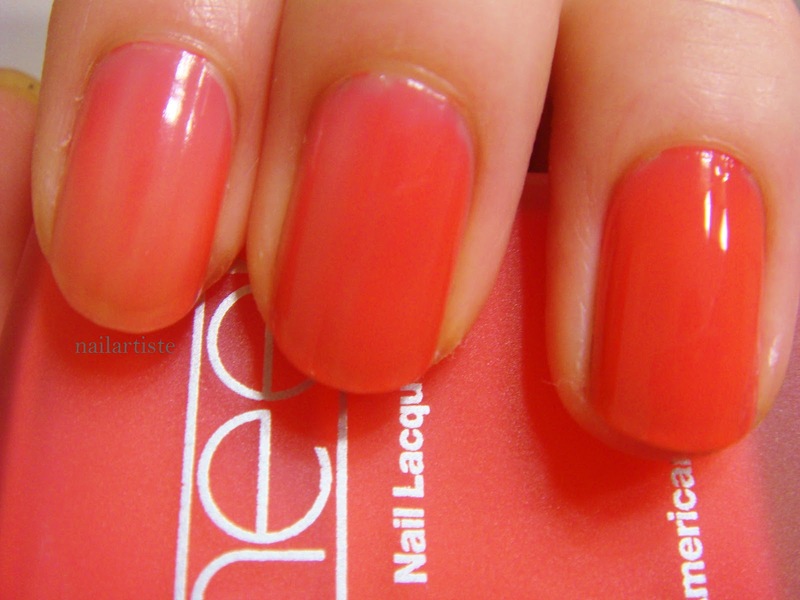 For me, I like to do research before buying most nail polishes, so I hope I can be of some help to you here. Alright, FINALLY, let's get started! Today, let's paint Totoro from Hayao Miyazaki's beloved movie "My Neighbour Totoro." I couldn't tell you how many times I've watched this movie as a kid, so I certainly enjoyed having a cute little Totoro on my nails. Left to right: American Apparel "Factory Gray", Sally Hansen "White On", Sally Hansen "Black Out"
Base: Paint all your nails gray. Soot Sprites: create as many of these as you want! 1) Use a bobby pin to create black dots of different sizes - the soot sprites look kind of fuzzy, so don't worry about neatness here! 2) Do their eyes the same way you did Totoro's! 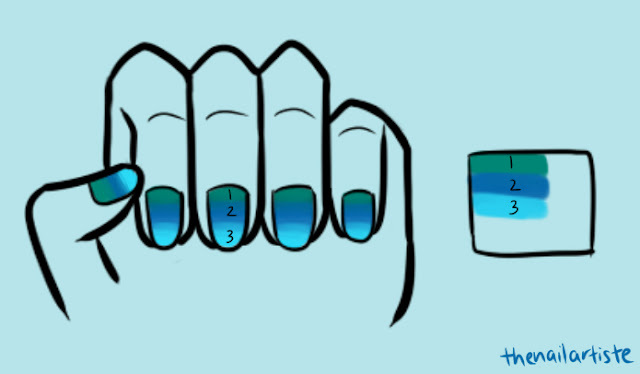 I hope you enjoyed my first nail art tutorial! I'd love to hear comments and see your own nail art pictures!